Feasts on pavement. Chews dirt. Demands seconds. Twisties? Touring? Gravel roads? 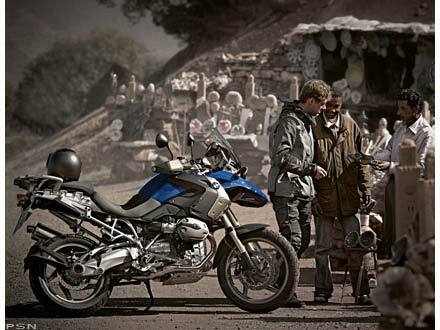 It hardly matters because to the R 1200 GS, the most versatile machine in the 2008 GS lineup. This year, a five-percent increase in power raises its output to 105 ponies for even quicker acceleration. 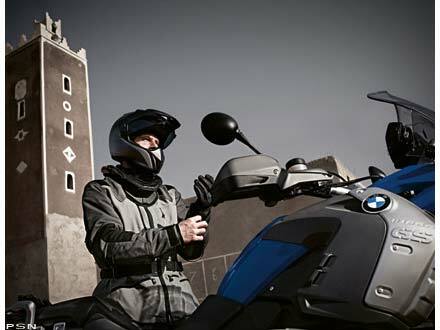 Handling is agile and precise thanks to a Telelever suspension system, and with Enduro ESA (Electronic Suspension Adjustment) you can adjust both front and rear suspensions between sport, normal, comfort, and off-road settings. 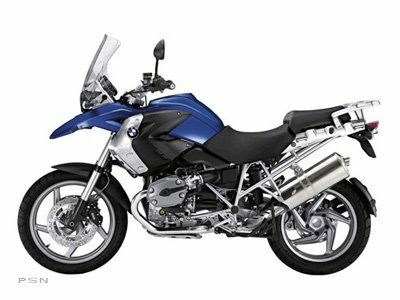 The 2008 R 1200 GS also gets a few sporty new features that make it even more eye-catching, including stainless steel knee covers on each side of the gas tank, dynamic cylinder covers, as well as an ergonomic aluminum handlebar and a more comfortable seat. The result? 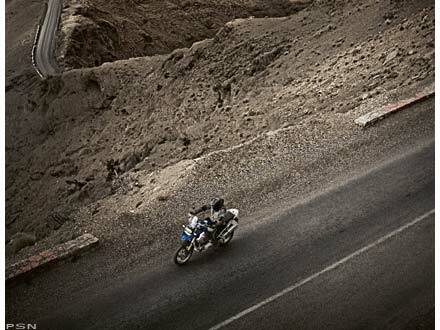 A bike that thrashes every road you throw at it and begs for more. Max Permissible Weight: 968 lbs.